They have met many presidents. They are politically well connected. They were born and raised in the social circles of Washington D.C. So why have Charlotte and Ruth Dupree taken such an interest in the death of a homeless man? Is it because he died at St. John's Episcopal Church, often called "the Presidents Church" since every president since James Madison has worshiped there. 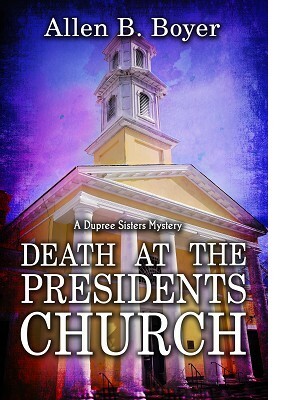 Using their observations about the presidents they've met, along with their usual charm, the Dupree Sisters find themselves navigating through a labyrinth of Washington luncheons, social events and gossip to uncover the truth behind a death that most people would overlook. Join the Dupree Sisters as they look into a murder with strong-willed persistence and, of course, good manners.